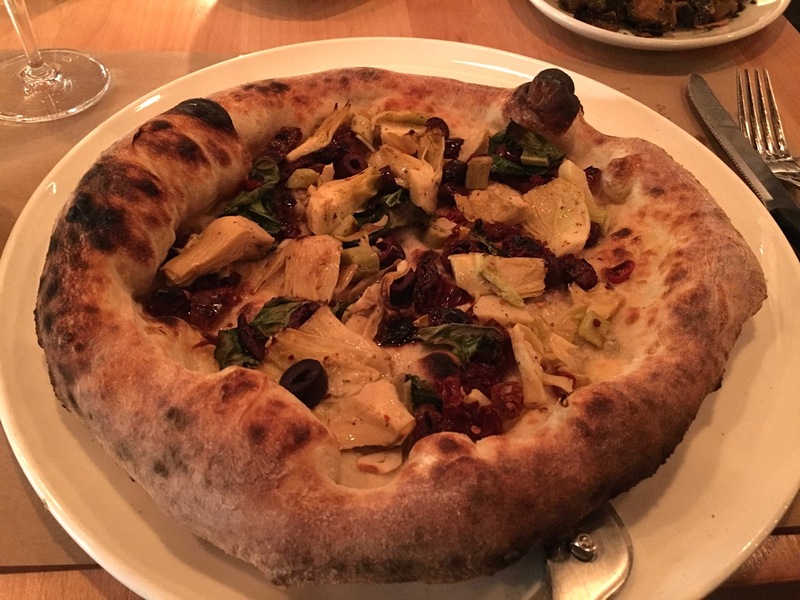 The last time I ate at Ghibellina on 14th Street, I had the same thing I always had -- not even thinking to explore other items because I love the Marinara pizza so much. Well, the server I had this time was not having that. She insisted I try other items that could be made vegan of which there are a-plenty! We started with the Rapini Saltati -- a vegetable dish made with rapini (broccoli rabe), a vegetable that has a bitterness to it, but which was tempered by garlic, lemon oil, and chili flakes. I just held the cheese. It was perfectly prepared! 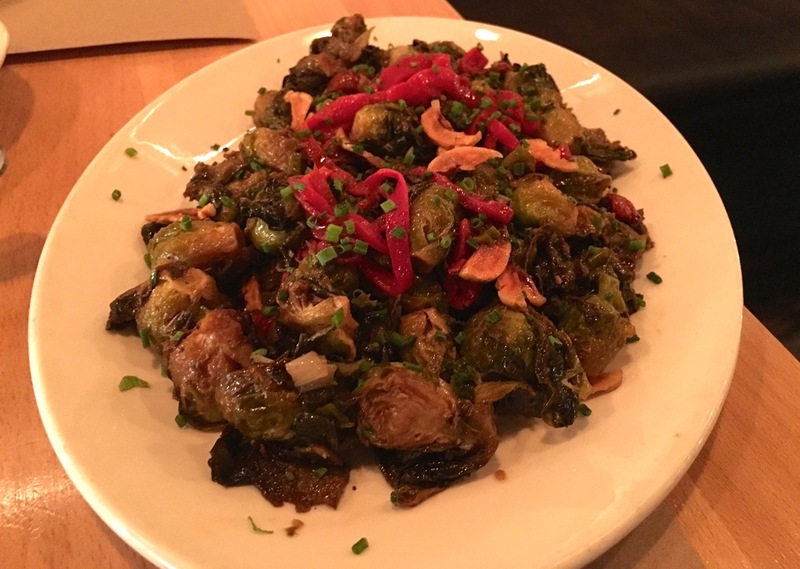 Then we tried the Cavoletto Di Bruxelles -- a Brussels sprouts dish with confit onion, sweet peppers, and chestnuts. It was a wonderful mix and the sweet peppers gave it so much flavor. For my entree, I couldn't resist their amazing pizzas. 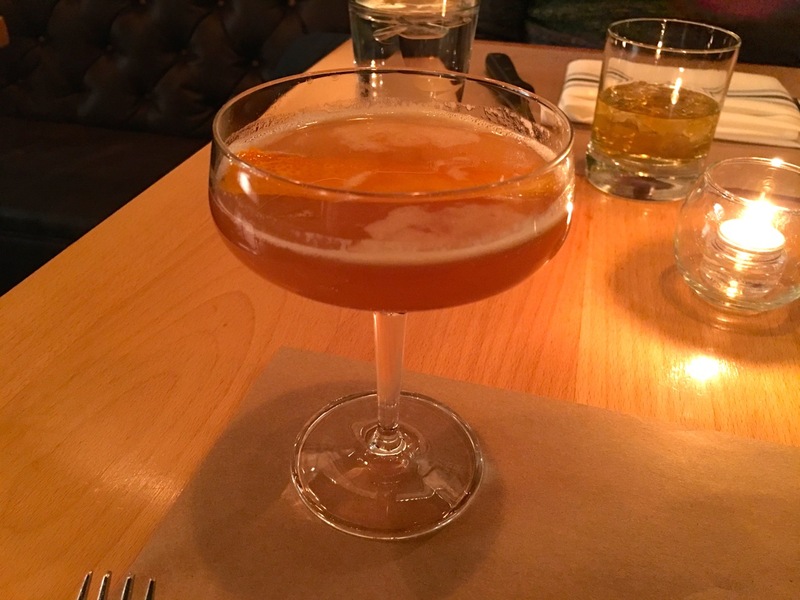 I went with one I'd never tried before -- the Olive E Carciofi. They just left off the cheese and it was marvelous. 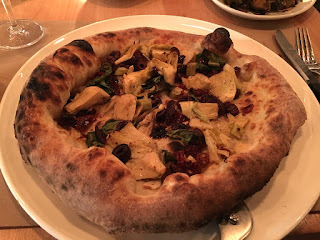 The thick wood-fired crust was topped with olive oil, nostralina olives, sundried tomatoes, artichokes, basil, garlic, and peperoncino and I added Calabrian Chiles as well. All the while I was drinking one of their fantastic cocktails: the Leoncino made with bourbon, allspice dram, lime, simple syrup, and angostura. 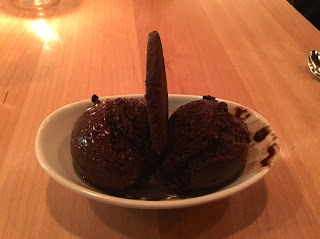 For dessert, I had a scrumptious chocolate sorbet though they did put a non-vegan cookie on it so minus a couple of points for that little oversight, but the sorbet was great. 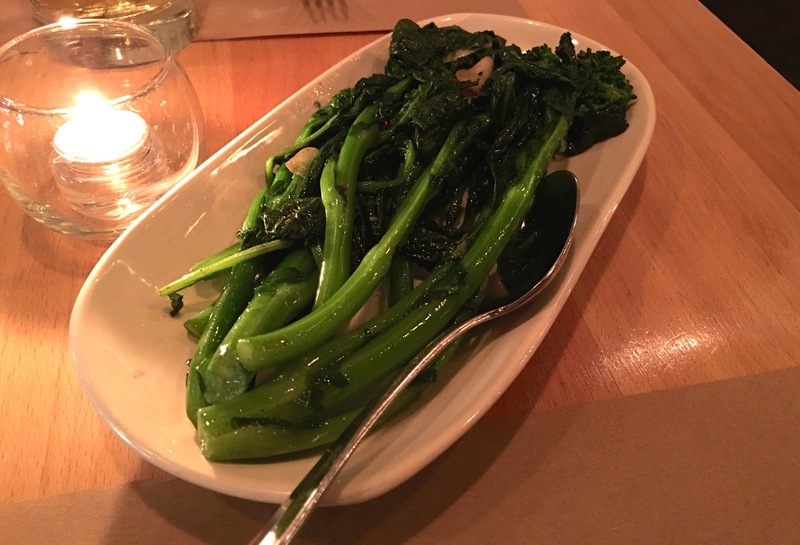 Although not cheap, Ghibellina has fantastic food, good service, and a lively atmosphere. The vegetable dishes were $8 while the pizza was $18 -- not too bad, but our drink selection upped the price quite a bit. 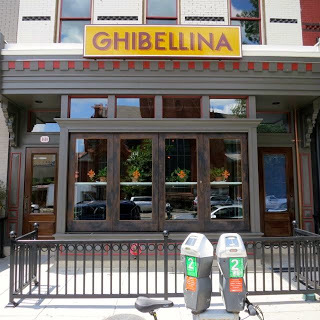 One of my favorite things about Ghibellina is that they now take reservations! Thank goodness! Not waiting for an hour makes the experience that much better. So go and try something new as they can make many of the items on their current menu vegan and they are fantastic!